While crunching through the Clarion, I came across an interesting article from February 17, 1965: “School Employs CPA to Upgrade Accounting.” The article was occasioned by the hiring of one Ken White, CPA for Bethel’s accounting and financial affairs division. Except, calling it the “accounting and financial affairs division” is probably somewhat too generous. While the article doesn’t outright say so (and I’d welcome comment to the contrary), I suspect that Mr. White was the first professional accountant with the CPA credential hired on a permanent basis by the school. Of course, the school’s books were audited by Touche Ross Bailey and Smart, the 1960s iteration of the current ‘big four’ firm Deloitte. But beyond that annual audit, the Clarion article suggests that Mr. White was hired as a big gun manager to bring the school’s accountancy up to professional standards. All this at a school which, in 1965, had ninety seven faculty, seventy-five administrators and non-academic staff, over one thousand students, and assets of nearly five millions dollars. While I’m hesitant to press the small Clarion article further than it can sustain scrutiny, from my research in the school’s archives, it’s quite apparent that the Bethel of the 1960s was a rather, shall we say, shoestring operation. For as much as the school’s leaders wrestled over institutional identity, curriculum, and student policies during that period, one gets the distinct sense that the whole enterprise was held together by bubblegum, luck, and fervent prayer. Among the examples of such shoddy (by contemporary standards) institutional function I’ve run across in the archive, one stands above the rest. 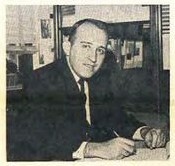 George Brushaber had been nominated in 1974 to replace the retiring Dean, Virgil Olson. At the Conference Annual Meeting that year in June, Brushaber was offered the job. Although sources like Five Decades of Growth and Change indicate Brushaber began work in the fall of 1975, I’ve found evidence that suggests he was in that post at least as early as May 1975, and likely began at the start of the 1974-75 academic year. But although it appears Brushaber had worked as Dean for nine months, it’s less clear whether he was paid during that time or that he worked under a formal employment contract. For in a memo to Lundquist from May 1975, Brushaber raised the issue of his salary for the 1974-75 academic year (it’s from this point that I conclude Brushaber started in the fall of ’74, not a year later), pointing out that the issue had been unresolved since at least the summer of 1974, the year Brushaber was nominated for the Deanship. 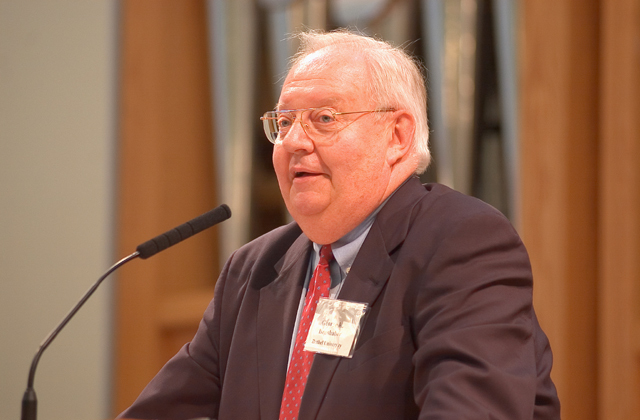 It’s unclear how Brushaber’s financial issues were resolved, but they must have been; he would serve as Dean for nine years before succeeding Lundquist as president of Bethel. Beyond this incident, it’s clear from the record that tenure policies were shaky at best, and there was evidently a constant reliance on the (sometimes questionable) expertise of faculty to figure the long-term planning of the school, financial or otherwise. Additionally, faculty and top administrators substituted for professional counseling staff — to significant (and understandable) complaint from students at the time. It’s difficult to imagine students feeling comfortable discussing their personal issues freely with dean Olson or president Lundquist. As disconcerting this inchoate level of professionalization might be in the 1960s and ’70s, it’s important to realize that Bethel was actually in the midst of a push towards the modern, professionally administered bureaucracy that runs the school today. Studying Bethel in the Vietnam era then, is studying a college caught between two identities. At the head of the college was indeed an “old time college president” […] Typically a clergyman, or quasi clergyman, the president solicited funds, discipled students, recruited faculty, befriended parents, wooed the public, and administered the entire enterprise; often the college become an extension of his personality” (140). increasing enrollment, raising academic standards, improving faculty qualifications and salaries, strengthening financial resources, fine tuning public relations, expanding the physical plant, and developing profitable relationships with educational associations and government agencies. Various schools also engineered upwardly-mobile changes in location (Askew, 141). Among the schools which relocated during this period are Calvin, whom we’ve examined before, and Bethel, who was in 1973 newly ensconced in a 240 acre campus in suburban Arden Hills. Askew’s characterization of this period is fairly representative of Bethel. The faculty senate minutes, Lundquist papers, and Annual reports to the Conference are filled with discussion of, among other things, the implementation of a new curriculum in 1971, the student body’s participation in local and national student organizations, a two million dollar budget expansion to finance the new campus, and a concern for improving faculty credentials and teaching quality. That last point is worth elaborating on. In 1967, out of a total full-time faculty of forty-seven, thirty-four per cent had doctoral degrees, twenty-seven per cent were doctoral candidates (those who had passed their comprehensive examinations but had not yet undertaken the defense of their dissertation), twenty-three per cent had completed a Masters degree, and nine percent had only a bachelors and some years of graduate study. If anything, those numbers likely exaggerate the credentials of Bethel’s faculty. The thirty-one part-time instructors almost certainly possessed fewer qualifications, on average. As Askew notes, this laxity in teaching credentials stemmed from an attitude common among evangelicals. In contrast to the expectations the contemporary professor faces, whose doctoral degree is sine qua non for her job, among evangelicals of the (roughly) 1950s through 1980s the attainment of a doctoral degree represented a confirmation of scholarliness, not an initiation into it (144). Thus it was that Bethel professors of this period could began advancing up the tenure ladder before undertaking significant graduate study and only eventually undertake their doctorates, often at the University of Minnesota. Today of course, a doctorate is required for any tenure-track job at Bethel, a professional counselling service is available to students, students’ experience of college life is created and mediated by trained and credentialed Campus Life staff, and the financial affairs of the school are handled by CPAs and MBAs – of whom Ken White was a forerunner. While Lundquist, Olson, and Brushaber were engaged in the birthing of this complex bureaucracy in the 1960s and ’70s, the modern university with its siloed functional areas was, to them, still a thing of the future.